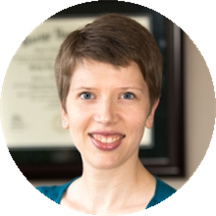 Dr. Kelly Baker has been practicing medicine in Seattle since graduating from Bastyr University with a doctorate degree in Naturopathic Medicine and a masters degree in Acupuncture in 2012. Dr. Baker spends a great deal of time working to educate her patients, writing articles and giving talks throughout the community. She was diagnosed with celiac disease after college and has been strictly gluten free ever since, which helps her to have a keen understanding of the role that healthy eating and living can play in each person’s life. Hailing from Michigan, Dr. Baker loves spending time outdoors (even in the rain!) in the Pacific Northwest with her husband and two young children. Some of her additional interests include cooking, swimming, traveling, and eating. She looks forward to sharing her knowledge of naturopathic medicine and the human body to help her patients along their paths to improved health. A appreciate how Dr. Kelly took the time to ask as many questions as possible to get to know my health background and goals. I have never had a doctor spend that much time to learn about my history. I cantell she is trying her best to do a full analysis before prescribing anything. Dr. Baker was friendly, patient and knowledgeable. She was thorough in her approach to diagnosing my health concerns and patient in answering my questions. I never felt rushed, which is often a feeling I have when going to the doctor. I would definitely recommend her to my friends. She was fantastic and everything I was hoping for in a holistic practitioner! I’ve followed Dr. Baker from another practice and always appreciate her attentiveness and personal approach used for my specific needs. Office staff is friendly and quick to respond to questions in person, on phone and through email. I've never had a doctor take so much time to listen to me and ask so many questions. I am so happy to have found her.